If you’re looking for a stylish garage door to complement your home but keep costs down, a steel garage door is an excellent choice! At Nova Garage Doors, we have a wide variety of steel garage doors to choose from, all constructed with great functionality and designed to enhance your home’s curb appeal. Whatever colour you’re looking for, whatever style, whatever size, we’re sure to have a steel door to fit your needs. Reduce noise and heating costs. Whether you’re updating your existing garage door or starting a new project, we ensure our work is beautiful, timeless, and expressive. Build your own steel garage door. 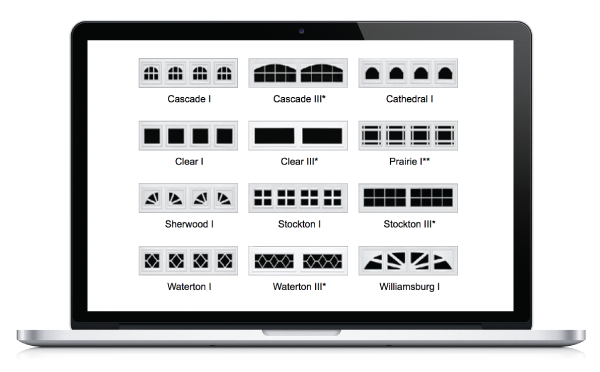 With our featured supplier Wayne Dalton, you can select the perfect garage door to suit your personal taste and your home’s architectural style. Browse the gallery to view their vast array of colors, window, and paneling options that are sure to transform your home.